To estimate work loss days due to absenteeism and presenteeism associated with commonly occurring mental and physical disorders. 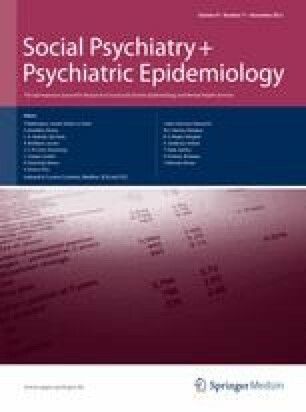 In a nationally representative face-to-face survey (Netherlands Mental Health Survey and Incidence Study-2) including 4,715 workers, the presence of 13 mental and 10 chronic physical disorders was assessed using the Composite International Diagnostic Interview 3.0 and a physical disorder checklist. Questions about absent days due to illness and days of reduced quantitative and qualitative functioning while at work were based on the WHO Disability Assessment Schedule. Total work loss days were defined as the sum of the days of these three types of loss, where days of reduced functioning were counted as half. Both individual and population-level effects of disorders on work loss were studied, taking comorbidity into account. Any mental disorder was associated with 10.5 additional absent days, 8.0 days of reduced-qualitative functioning and 12.0 total work loss days. For any physical disorder, the number of days was 10.7, 3.5 and 11.3, respectively. Adjusted for comorbidity, drug abuse, bipolar disorder, major depression, digestive disorders and panic disorder were associated with the highest number of additional total work loss days. At population-level, major depression, chronic back pain, respiratory disorders, drug abuse and digestive disorders contributed the most. Annual total work loss costs per million workers were estimated at €360 million for any mental disorder; and €706 million for any physical disorder. Policies designed to lessen the impact of commonly occurring disorders on workers will contribute to a reduction in absenteeism and presenteeism. As the indirect costs of (mental) disorders are much higher than their medical costs, prevention and treatment of these conditions may be cost-effective. NEMESIS-2 is conducted by the Netherlands Institute of Mental Health and Addiction (Trimbos Institute) in Utrecht. Financial support was received from the Ministry of Health, Welfare and Sport, with supplement support from the Netherlands Organization for Health Research and Development (ZonMw), the Genetic Risk and Outcome of Psychosis (GROUP) Investigators, and the National Institute for Public Health and Environment (RIVM).